Home News	Dominate That Lane! 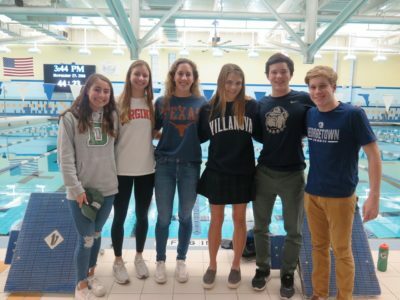 Nine swimmers from Chelsea Piers Aquatics Club?s swim team in Stamford will continue their swimming careers at Division I programs next fall, including Catherine Hamilton of Rye, center right, who is headed to Villanova University. The swim team began in 2012 and has grown into one of the strongest on the East Coast, regularly ranked in USA Swimming?s Top 50 clubs nationally for 18-and- under swimmers.